You would think from the news that people are complaining a lot about having the option of checking mobile devices during leisure trips. But research (see full study) shows that of the 88% of travelers worldwide who take mobile devices along on leisure trips, six-in-10 use them once a day and only 22% for work-related, e.g. checking emails. Among American leisure travelers, nearly five times that use is for staying in touch with family or friends or to take photographs or videos. The top two travel apps are GPS/Google Maps and those created for communities by destination marketing organizations (DMOs) such as the three which I led during my career. Other research suggests that those who complain about technological access may actually have trouble thinking strategically. So they cover it up with hyperactivity and then humblebrag about it, to use a term coined by author, comedian and TV producer author Harris Wittels. 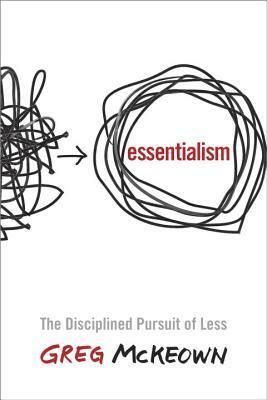 In another of his insightful books entitled, Essentialism: The Disciplined Pursuit of Less,” his research makes the case that paradoxically, people who complain/brag like this have trouble deciding what is important at work and at leisure. It isn’t about IQ though. Roger Martin, a researcher in strategy-making at the Martin Property Institute finds that smarter people often struggle at being strategic because they get caught up in making the “right” choice rather than just the “best” possible choice. Working now less than we did in the 1960s and 1980s, unless you are working single mother, Americans on average can’t complain of being overworked. Maybe it just seems like we are because newsrooms seem drawn to anecdotes, perhaps heard there first. Humblebrags lead to especially juicy anecdotes. For people with a strategic mindset, having access to mobile technology on a leisure trip provides peace of mind and enables deeper relaxation. It is about trade-offs because they know they won’t be holding co-workers up waiting for something simple, and also because they can nip issues in the bud before they fester. Those who can’t do this on a leisure trip probably aren’t able to at work either. Even people who complain about technological access probably don’t when it permits them to soften the distinctions between work and leisure time, e.g. attending their kid’s school-related events. They might also suffer from an odd definition of leisure, placing it in perpetual tension with work. These are the folks who drain every second of vacation time and usually return exhausted from working so hard at it. According to Dr. Ken Matos at the Families and Work Institute, a better definition of leisure is actually being able to “do what you want, when you want to do it,” including perhaps switching on and off more frequent “10-second” vacations during the workday. “Mental flexibility,” including the ability to shed distractions and/or immediately refocus back on tasks, is one of the three pivotal “executive function” skills we begin to learn between ages 3 and 5. They are the scaffolding for learning skills such as focus, planning, prioritizing, scheduling, anticipating, deciding and analyzing according to Dr. Edward M. Hollowell, the author of Shine: Using Brain Science to Get the Best from Your People. Studies show that focus, in particular, is a better predictor of both health and success than IQ or background. We continue to hone “executive function” skills at home and in school well into adolescence. Adults who haven’t mastered them find themselves ill-equipped for the workplace. But while more difficult, it is possible to hone them even then through diligent exercise. However, lacking them isn’t just about coming from a disadvantaged background. In my four-decades as an executive I was always puzzled when I came across high performers who lacked one or more of these skills even though they came from secure homes and earned good grades through college. Giveaways signs were a low tolerance for uncertainty or complaining about finding too many emails waiting for them on Monday morning or being aggravated at having to change or shift gears throughout the day. Trying to kid them out of their angst by asking if they would rather find an old-fashioned inbox full of paper memos and yellow sticky notes dated me and went right over their heads. When that didn’t work I would try to teach them how to quickly and strategically triage emails before closing them by either taking them as an FYI and deleting, quickly answering before deleting, delegating them, or tracing for follow up as a project. Overload is usually a sign someone is postponing this triage while repeatedly opening and closing the same emails. It is also an indication that someone probably isn’t protecting or spacing their calendar from all but two meetings per day, one in the morning and one in the afternoon. Frustrated, I would often mistakenly resort to trying to breathe fire or a sense of urgency into them or by just trying even harder to show by example what seemed easy to me. But I realize now these otherwise high performers didn’t just struggle with the discipline we all do to minimize on average the 75% of all distractions in every workplace that are self-interruptions. It also wasn’t enough that we worked according to a “best practice” strategic plan, nimble enough to be organically tweaked each time new or better analytics became available. More than lacking in strategic mindset, these otherwise high performers may have just needed more time to think. Known for organizational strategy, I had one glaring weakness. To appease community interests who were lagging behind, when we would calibrate differentiation for the community based on newer or truer analytics, I would sometimes try to straddle strategies, a term coined by Dr. Michael Porter. It works for investments just not organizations (especially community organizations.) It “forces us to make sacrifices on the margins” warns McKeown, hardest in my experience on high performers. That was often accompanied by another mistake, trying to take the pressure off high performers by filling vacancies way to fast. Consultant David Camner showed me that a vacancy or two is far less costly than a poor hire. As former Apple-evangelist Guy Kawasaki, author of The Art of the Start intimates, poor hires attract more poor hires who weigh high performers down, even resulting in a “Bozo explosion” and the need to clean house. I’ve known some private organizations with incredibly narrow missions that work without plans of any type, not even job descriptions. Based on what we know now, that was a faulty notion that strategy-making was passe. Today, having a strategic mindset and hands on analytics are the foremost “must-haves” for executives, even more important than creativity for marketing execs. In part, McKeown’s book takes many of the strategy-making principles in a book on organizational strategy by Dr. Porter that I read in Anchorage in the mid-1980s and referred to incessantly while differentiating Durham during my final stint down to the the individual level. Technology is not really the problem.